Gatekeeping Your Enterprise Price Book. 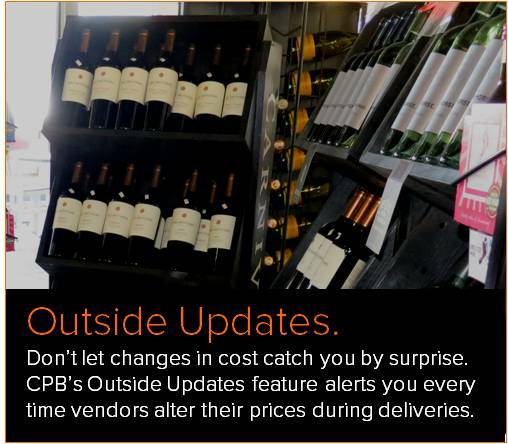 Pricing changes happen through direct store deliveries, EDI purchases, items added on the fly during the recording of a purchase, and manual entries in the inventory module of the CDB. Overlooking or ignoring these changes can result in confusion and erroneous pricing, not to mention lower profit margins. 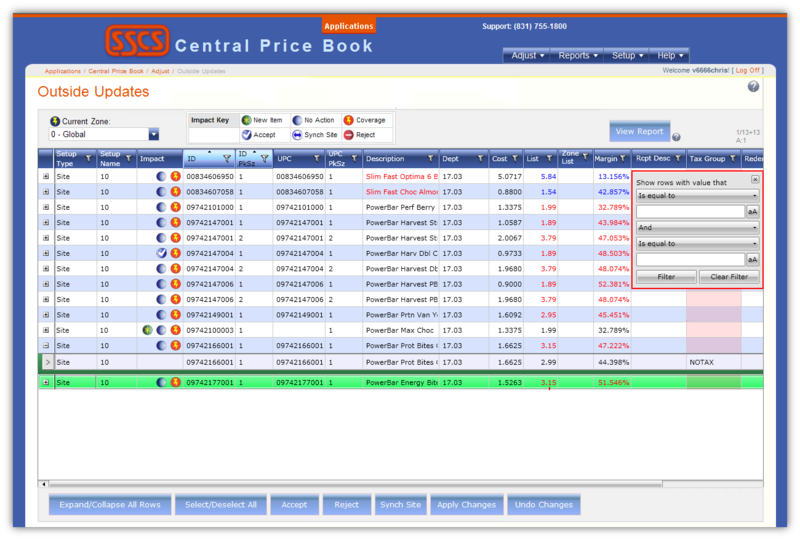 Central Price Book's Outside Updates module functions as a gatekeeper. It displays, for your approval, changes to pricing records imported into your price book from vendor files and other sources. You can review, accept and edit changes before you commit them to the Central Price Book (and by extension, the sites of the Computerized Daily Book). If the items being staged are linked items, as in the case of Food Service recipes and ingredients, the links between items are retained as they are distributed to the affected sites. The Outside Updates screen below displays a user deciding which recent price book changes he will accept and synch to all sites, and which ones he will reject.